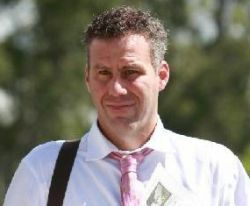 Steve Fletcher, one of the biggest gambler in Australia, was a co-owner of an online betting site, according to Australian media. Earlier this week, Fletcher was unmasked as one of the main suspects behind a gambling scandal. The fraudsters used a whole range of New South Wales Police identities to create accounts at online gambling sites. Australian media allege that Fletcher held 500,000 shares in Gaming Investments, which is the company behind bookmaker.com. In August, Ladbrokes agreed to pay $22.5 million to acquire Gaming Investments. Marc Smith and Anthony Williams (both senior constable) were involved in the identity fraud. Besides Fletcher, Darren Azzopardi benefited from the gambling accounts created with the identities of many police officers. The vast majority of online betting sites has excluded both bettors. Online bookmakers allow punters to create only one account per person. For that reason, Smith and Williams collected identity documents of nearly 20 police officers. Each of them received about $450. The two senior constables used the documents to create betting accounts.